Pump Supply and Repair Group have recently refurbished a high temperature (650 °C) reactor fan for a major chemical supplier. The failure occurred on site during cold weather, where water-cooled equipment froze during January. 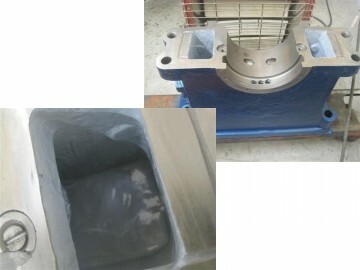 Bearing design was from the 1960’s, so this technology was white metal liners inside cast iron water-cooled housings. The units had temperature probes to monitor bearing temperatures. As can be seen above, the water-cooled bearings have cracked in frost conditions, causing major damage resulting in plant shutdown time and loss of production. The total fan unit was disassembled, M.P.I. 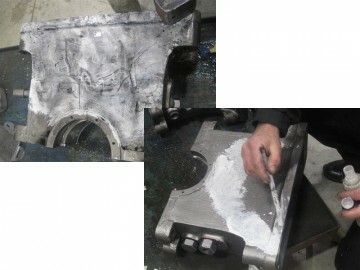 testing of castings was carried out. 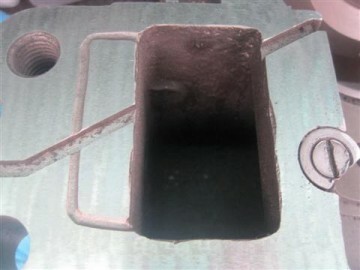 All water chambers were bead blasted to identify problems at M.P.I. test stage. 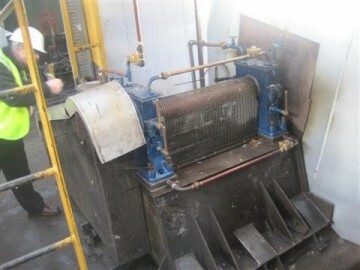 Some cast iron gas welding was carried out at our Manchester workshops. The castings were cold metal stitched. All water chambers coated with Belzona 1341 Superglide. To reduce future scale up problems, the main shaft has been hard chrome coated on bearing areas to original sizes, where the white metal bearings run. Both white metal bearings were re-lined and bored, scraped to correct fit and clearance. All bearings aligned on site. The fan assembly was balanced to G. 2.5 Dynamic @ 3500 RPM. The unit was commissioned on site to aid the customer achieve tight delivery schedules.